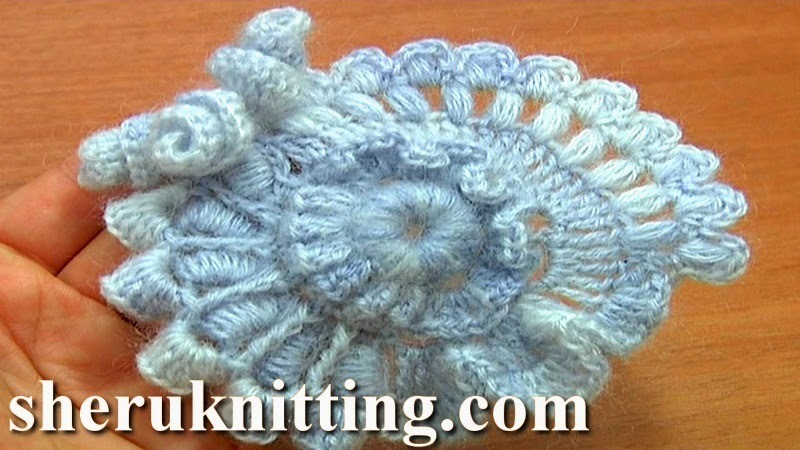 In this freeform crochet tutorial we are showing you how to make beautiful freeform scrumble or freeform flower. Working on this project we do not follow any pattern we are creating something new with every next stitch. Begin the work with crochet button that is shown in Series Crochet Elements and Projects Tutorial 7 and continue improvisation with us following this tutorial. Many crochet techniques are used to create this beauty such as: 5-double crochet popcorn stitches, chain spaces, ruches, puff stitches, bullion block stitches etc. Feel free to add something new to your project and make it unique and more beautiful. All the best and thanks for watching!